All Donation points for our 2017 Toys & Teens are now closed. ​Thank you for your support! Happy Christmas!! 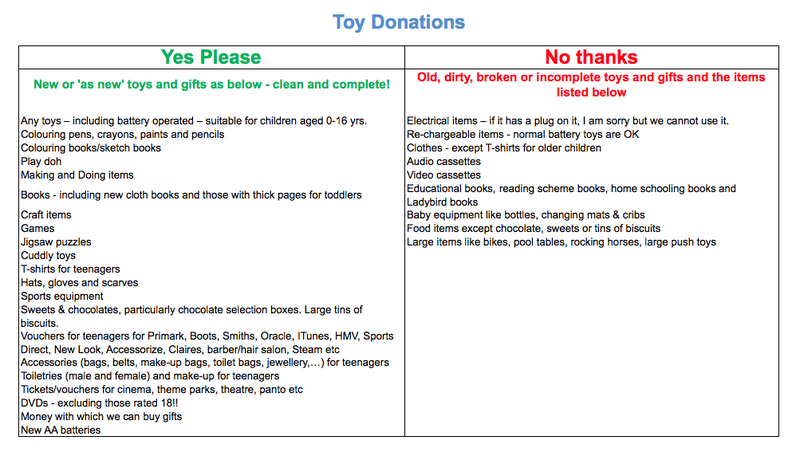 There are only certain types of toys and gifts we can accept, so please check our ﻿﻿toys and gifts﻿ list﻿ to see whether your gift is suitable. You can also donate money on our Localgiving page, and we will put the money towards a summer outing or organising next year's Toys & Teens Appeal.